My time here in Burgundy has exposed me to many new ideas and debunked many of my initial beliefs about how wine should be done. Burgundy is indeed a land which does things contrary to most wineries I find in the new world. The people here have a lot of respect for the land and the grapes. They give their life for the vines and treat each of them like one of their own. This love and responsibility is also translated into the final product. To the Burgundians, this is not just a product to them, but their very essence in the vessel of a bottle. In the last part of the series, I wrote about how winemakers of wines here have a tendency to encourage reduction in their wines which is why hardly any racking done. This is antithesis to what is practiced in most places in Australia. It was shocking for me to understand that in Burgundy, lees can sometimes be used for topping up the barrels and then taken out again at a later period. Lees are basically dead yeast cells which give roundness to the wines, improves colour stability, decreases astringency, imparts complex flavours, creates a reductive environment to preserve aromas and the list goes on. So if they are so beneficial, why remove them like it is usually done in the new world? For starters, part of the reason why onion smells can be formed is due to the yeasts digesting themselves. Thus, in the new world, racking is done to air the wine so as to remove the stinky reductive smell. This is to prevent the formation of mercaptans (thiols) and dimethyl sulfides – that onion, garlic and wet asparagus-like smells. The Burgundians sometimes use a different method instead of racking, by shaking the barrels to and fro to get the air in the barrels moving and to mix the lees within the barrel. This breaks up any thick layers of settled lees that can cause too much reduction. 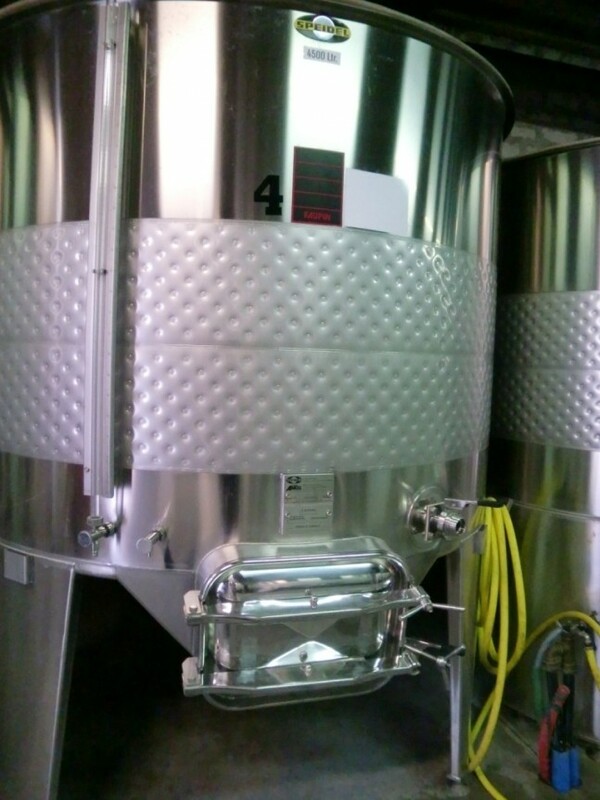 The removal of lees is also done at the same time so as to give clarity to the wine if the wines are bottled non-filtered. This is to cater to today’s demanding market where a cloudy wine is unacceptable. I find that the Burgundians have an excellent understanding of how to utilize lees. They know their good lees (fine) from their bad (gross) lees. The process of separating the fine from the gross is called débourbage in French. This is when the must with the suspended fine lees is separated from the settled gross lees. They would then allow for the wine to settle again after alcoholic fermentation before transferring the wines to barrels. The lees that have settled at the bottom of the tank have three parts to it. The higher part which is elegant and fine is used for the topping up and it is white in colour. The middle layer is green. The bottom is brown which has been affected by sulphur. In a 2000 liter vat of 2 meters wide, you can obtain about 1-2 cm of white lees which is not much. The middle and bottom layers are discarded while the white lees are being stored in beer kegs than prevent oxidation of the lees. 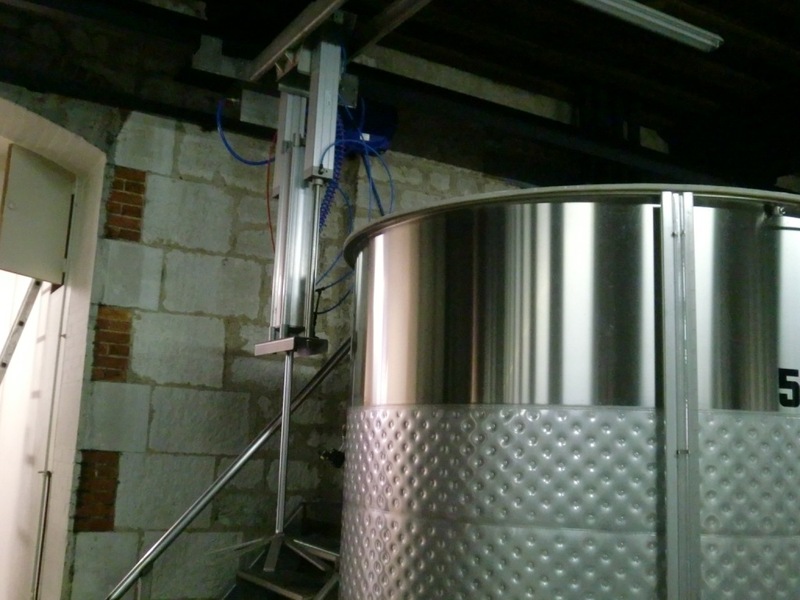 I was told that the leftover lees from barrels of Grand Cru wines are sometimes filtered in a cross-filter, diatomaceous earth or membrane-filters and used to top up premier cru wines in barrels. Nothing goes to waste. In addition, after bottling of the Grand Cru wines, the premium cru wines can be transferred to the Grand Cru barrels to complete their aging. 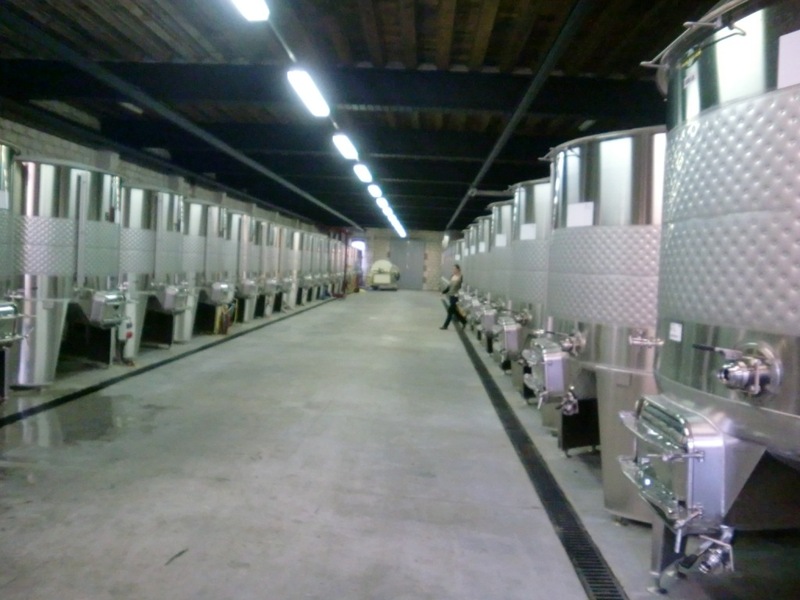 The more pumping and racking is done, the more the structure of the wine is destroyed. Therefore, racking is done only when necessary. The lees which are on the higher part of the barrels is usually aged and dead so the top part is remove if racking is done and topped up again with the fresh lees. Pale green. Mineral and light lime. A mineral palate, medium(+) acid, medium alcohol, neutral flavours, medium length. A wine characterized my minerality. Non-filtered. Semi-opaque purple color. Beautiful structure and delicate. Aromas of flowers, medium(+) intensity, jasmine, tea, feminine. Med(+) acid, tea on the palate and long length. An excellent wine. Pale yellow. Cedar, peach, straw aromas. Light cedar on the palate. An oily body, long length, light citrus and oak. Amazing balance with a hazel nut finish. Pale green. Cashew and cedar aromas, grapefruit, corn. Cedary palate, lots of mineraility, peach, med acid, long length, beautiful underlying palate of nuts. Powerful finish. Garnet. Light cherries, light smoke, earthy but candy, red apples. Palate is full of caramel, med acid, candy, long length. Purple. Black tea, wood smoke, light tobacco nose, candied. Palate is spicy, meaty, med(+) tannins, rounded, long length and meaty. Semi-opaque purple. Lifted roses, leather, juicy. On the palate, powerful tannins,, good spice, long length, dark herbs, solid structure.